Welcome to Detroit Happy Hour! Detroit is a city that everybody should have the honor of visiting. It was once the busy center of automotive activity and urban sprawl, known around the world for being the capital of automotive production. It’s gone through some rough spots, but there’s one thing that is for certain, Detroit is a city filled with soul! From the residents, to the hard working small businesses, to the volunteers and passionate individuals who do their best to restore the city to its former grandeur, Detroit is a city that cannot be brought down. 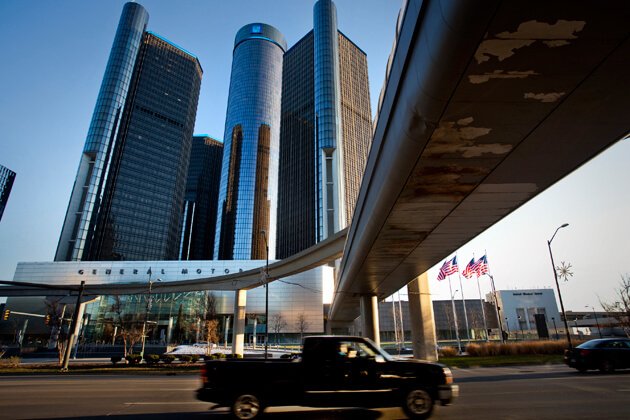 Visiting Detroit is something that holds endless possibilities. This city has so much culture, from museums to sports to bars and restaurants, you'll be immersed in Detroit's rich culture anywhere you go! If you ever find yourself in Detroit looking to get the most out of your experience, you should strongly consider visiting some of the bars, nightclubs, and restaurants listed here! We’ve compiled a directory of the best institutions in Detroit and surrounding areas who are not only some of the most popular bars, but that offer amazing deals on drinks during happy hour, making your night out a little more frugal and enjoyable. After all, Detroit was hit hard by the economy...why not save yourself some money that won’t have an impact on your level of fun? Not only will you find helpful information on which budget friendly places are the best to visit, but you’ll also find information on getting around while you bar hop. You'll find that Detroit offers some amazing party bus and limousine options, and we've found you the companies with the best deals! After all, who wants to be designated driver when you’re having amazing experiences (and drinks) in the Motor City? No matter what, you’re bound to have a positive experience here in Detroit, espcially when you have luxury transportation and an itinerary loaded with the best bars in town. Click here to learn more about transportation options!